A recent US Court of Appeals decision reinstated a school janitor’s discrimination claim based in part on principles taken from an old French children’s fable. A legal theory not uncommon in the realm of employment law is referred to as the “cat’s paw,” and stems from a fable in which a monkey convinces a cat to pull chestnuts out of a hot fire. As the cat burns his paw pulling the chestnuts from the fire, the monkey gobbles them up, reaping the benefit of the result while leaving the cat with only a scorched paw. The “cat’s paw” theory in employment law application describes a situation in which a person without decision-making authority – typically with an unfair outcome in mind (i.e. the monkey) – orchestrates an action by an authority to unknowingly institute a discriminatory employment action (i.e. the cat with the scorched paw). In the case of Harris v. Powhatan County School Board before the US 4th Circuit Court of Appeals, Mr. Harris, a 72-year-old man, was employed by the school board as the director of maintenance and custodial services. Initially hired in 1957, his employment was governed by an annual contract for which he was required to complete an “intent to return” form every fall. When Mr. Harris completed this form in November 2008, he indicated that he intended to return for the 2009-10 school year and returned the form to his direct supervisor. Instead of submitting the form as is customary, Mr. Harris’s supervisor held on to it with the intention that he was going to persuade Mr. Harris to retire. To that end, the supervisor notified Mr. Harris that the position was being considered for elimination. Months later, Mr. Harris’s supervisor told the division superintendent that Mr. Harris had expressed to him a desire to retire at the end of the year. Mr. Harris disputed this statement, but ultimately agreed to retire on the condition that he receive funds he believed he was owed for accrued leave. The division superintendent recommended to the school board that Mr. Harris’s position be eliminated, but failed to notify the board of the condition Mr. Harris placed on his potential retirement. Based on the division superintendent’s recommendation, the school board eliminated three maintenance and custodial positions, which were all occupied by employees over the age of 70, and failed to pay Mr. Harris any funds for accrued leave. Mr. Harris filed suit against the school board in which he alleged a claim for age discrimination. The school board’s defense was that its decision was based on a good faith belief that Mr. Harris wanted to retire and that it needed to address the school board’s budgetary deficits. The District Court granted the school board’s motion for summary judgment, thereby dismissing the case on the grounds that Mr. Harris failed to demonstrate that the school board’s proffered nondiscriminatory reasons for his termination were a pretext. The 4th Circuit vacated and remanded the judgment, holding that the District Court was mistaken in holding that only the beliefs of the school board, as opposed to those of Mr. Harris’s supervisor or the division superintendent, were relevant in determining pretext. Under “cat’s paw” theory, the Court confirmed that an employer may be held liable for the actions and intent of its “monkey” employees. 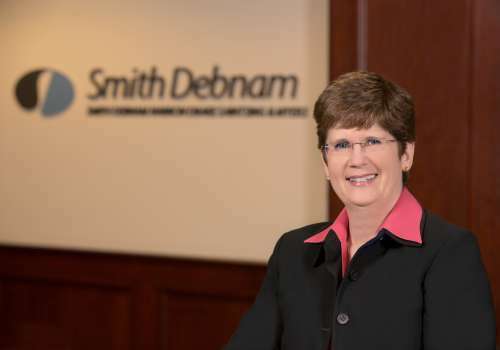 If you have questions or concerns about this federal court decision or other legal issues, please feel free to contact Connie Carrigan at ccarrigan@smithdebnamlaw.com>.